BUFFALO -- A federal grand jury has returned an indictment charging Donte Walker, a/k/a Slim, 27, Clayton Williams, a/k/a Dee, 29, and Kevin Hinca, 27, all of Buffalo, NY, with narcotics conspiracy. The charge carries a mandatory minimum penalty of 10 years in prison, a maximum of life in prison, and a $10,000,000 fine. In addition, defendants Walker and Williams are also charged with possession with intent to distribute heroin, using and maintaining a drug premises, and possession with intent to distribute, and distribution of, heroin. Those charges carry a maximum penalty of 20 years in prison, and a $1,000,000 fine. Assistant U.S. Attorneys Paul C. Parisi and Charles J. Volkert, Jr., who are handling the case, stated that according to the indictment, between 2015 and October 2018, the defendants conspired to distribute heroin, butyryl fentanyl, and furanyl fentanyl. 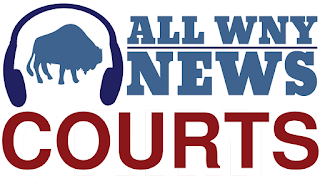 Defendants Walker and Williams are also accused of using a residence at 410 Northland Avenue in Buffalo to manufacture, distribute, and use heroin, and butyryl fentanyl. The indictment is the result of an investigation by the Drug Enforcement Administration, under the direction of Special Agent-in-Charge James J. Hunt, New York Field Division, the Buffalo Police Department, under the direction of Commissioner Byron Lockwood, and the Cheektowaga Police Department, under the direction of Chief David Zack.